There's a bold decision in your life you've been waiting to make, and every day passing by is a reminder of what hasn't happened. Conveniently tucked in a box labeled 'someday, ' the fear of the unknown has taken a grip on your life and put your dreams on hold. All while having the time of your life and ensuring you don't wake up years down the line with a sinking feeling of regret. 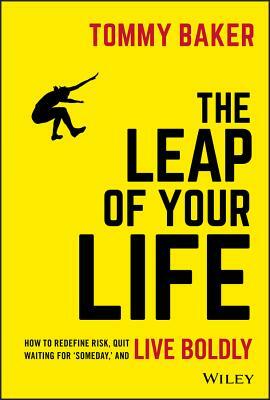 They all took a leap, even if they were full of fear--and it radically transformed their experience of life. TOMMY BAKER is an author, speaker, coach, and host of the Resist Average Academy, a top-rated podcast and platform. Tommy helps those with a bold vision reverse engineer their success and step boldly in the direction of their dreams.